Click on a talk below to listen online. You can also subscribe to our Riverside Church podcasts to listen when you're out and about. At our Christmas Day service Simon finishes the series with a short sermon explaining how we can follow Jesus’ demonstration of the way we’re supposed to live. At the evening Carol Service Keely talks about the miracle of the manger and what significance it has for all of us in our lives. The Christmas story is just full of miracles. After 400 years of silence God's plan to save mankind goes into overdrive. The plan is bold and beyond true comprehension and its impact is still being seen today in changed lives. Simon explains how God wants to come and meet us where we're at and this story gives us a window into God's heart. Simon begins our advent series looking at the miracle of God's timing. Following a presentation from CAP (Christians Against Poverty) Simon concludes the series on James looking at how patience and prayer deepen our trust in God. Chris explains how every area of our lives is impacted when we meet Jesus if nothing changes then we have not really met him. Kim gives us a flavour of what goes on at Riverside during the week and Gaby tells us about the joy that the boxes from Operation Christmas Child brings to the people that receive them. Julian Barnard considers the Power of Words. What God says, what others say and what we say. He encourages us to not only use God’s word positively but to develop our relationship with Jesus, the word of God. Joel continues explaining from the book of James the connection between faith and deeds. Simon introduces our new series on James, explaining how trials can turn to trust. Simon concludes the series by looking at how we partner with the work of the Holy Spirit in every area of our lives. Simon explaines how the water baptism and Holy Spirit come together as we baptise Phil & Lynn. Simon completes his talk on the gifts of the Holy Spirit and explains how we can grow the gifts. Simon begins a two part talk on the gifts of the Holy Spirit. Keely and Chris speak and pray about the tragic loss of Richard Newman. Who is the Holy Spirit and how do we get to be filled with? Jesus thought that being baptised or filled with the Holy Spirit was worth waiting for. The disciples met and prayed come Holy Spirit and the rest is history! In this all age service Simon looks at some of the different metaphors the bible uses to describe the Holy Spirit. A small book with a seemingly small story about ordinary people facing life's tragedies and overcoming. The three main characters show their character amidst the challenges they face. Guest speaker Joel tells us about the story of Queen Esther and shows how bravery saved an entire nation! God can use anyone to fulfil His purpose and to change the world. God had a plan for Jonah but Jonah also had a plan for Jonah. God has plans for us too but who's is best? The “One Another” series explores how the Bible expects us to treat each other. Julian Barnard concludes our ‘One Another’ series encouraging us to show hospitality. He considers some biblical examples and principles we can apply in our lives. We are encouraged to pour out the little we have and allow God to multiply it. Paula Martin tell us about her last ten years serving in Pakistan and Keely looks at the life of Jesus to see a model of how we should serve one another in love. Simon looks at the encouragement from James for “hands on” prayer. Simon explores Paul’s encouragement for the church to become a growing, learning community. Encouragement takes many forms from a simple smile to a challenge to be the person God made you to be, but not everyone can receive it why? Simon looks at growing a culture of honour within the church. Simon will be looking at the power of forgiveness and avoiding the trap of offence. In the first talk of the ‘One Another’ series Keely explains about the different types of love mentioned in the Bible and most importantly God’s agape love for us. Our guest speaker Sam Miller concludes the Walk Wisely series by explaining how by anchoring our trust in God we have a hope based in what God alone could do. In order for us to be able to speak the truth, we need to know the truth. How much truth is there within the Bible? Simon describes how badly managed anger is a heart “hardener” while cultivating compassion is a heart “softener”. Simon explains how all of us face temptations everyday and how the Bible helps us to know the right decision and face temptation. In part four of the Walking Wisely series Joel explains why developing discipline in our lives is so important. Chris talks about how the book of Proverbs gives us an insight into how life works, especially doing good to others. Tariq continues with our sermon series 'Walk Wisely' based on the book of Proverbs. At Chris' last sermon as pastor he explains how walking wisely means to continually work our salvation with fear and trembling because God is at work in us. Know your calling and your destiny! The song used by Chris 'You raise me up' removed from podcast due to copyright. Before the baptism this Sunday Simon explains the reasons we baptise people with the help of a great visual aid for the children. This is followed by Rachel’s testimony and baptism. There was no podcast today as it was an Easter Day family service with lots going on and no sermon. Chris explains the key players and how they took part in the events. Jesus knowing what is to come issues a challenge to all who would follow him. Simon presses pause on Proverbs and begins a mini-series of the journey to the cross leading up to Easter. Our guest preacher today was Eric Delve and in a non-series sermon he explains why looking forward is so important to christian living. Our guest speaker today was Glyn Norman the Lead Pastor from the Central Christian Church in San Jose, CA. He explains about how living the Christian life and having time to listen to people and tell them about the greatest story ever told will bring great blessings. 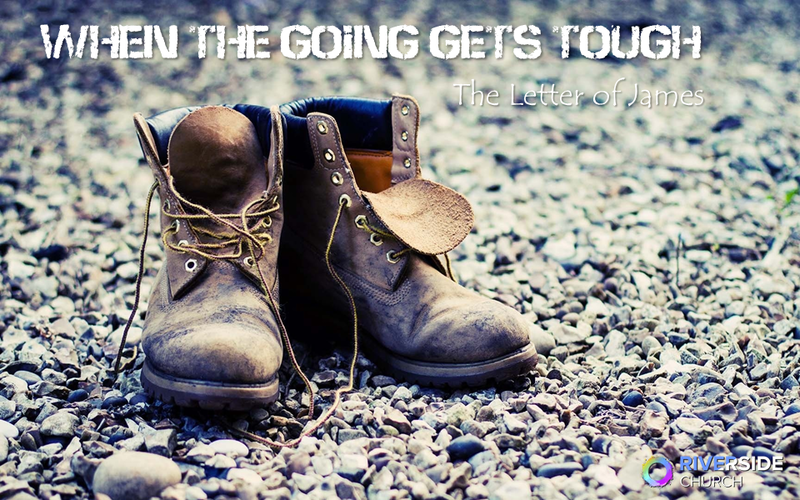 Simon concludes the Come & See series looking at Jesus’ invitation to walk personally with Him. Jesus calls us to freely “sow” the good news of the Gospel in prayer and action. Simon looks at how God’s story and our story come together through the culture of invitation. We all struggle with the word “No”. Simon looks at why No is an okay answer as we grow in becoming more invitational. Simon introduces the Come And See series looking at how we can grow into an invitational people and an invitational church.